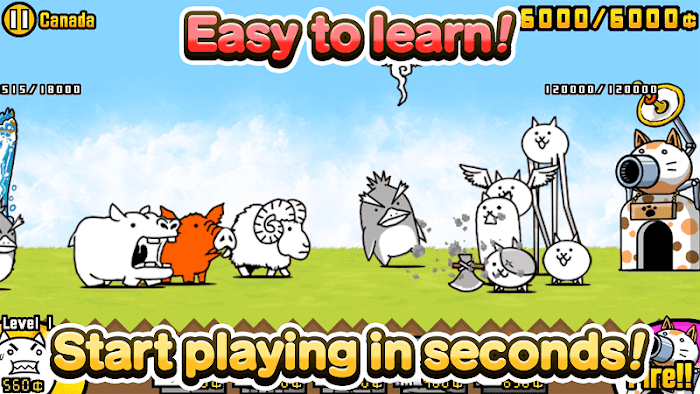 The Battle Cats – Cats are cute animals and look quite naive (but not, you know). Although not as wise as dogs, but with a gentle and docile appearance, many people choose to become pets. Maybe, the cats that you used to find are quite lazy, just eat and sleep and be destructive. 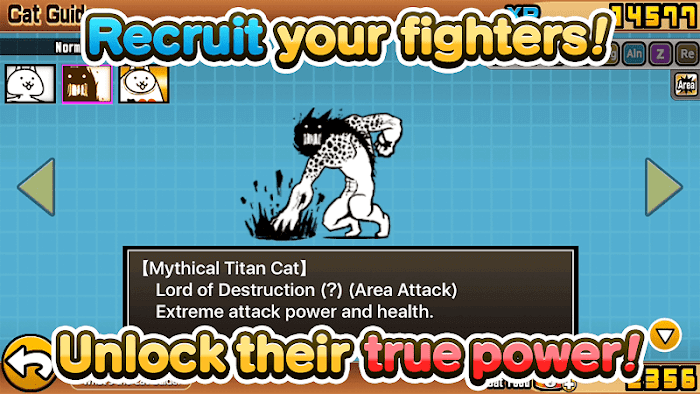 But in the sp the Battle Cats game, they are brave warriors, against bad guys to protect our earth. 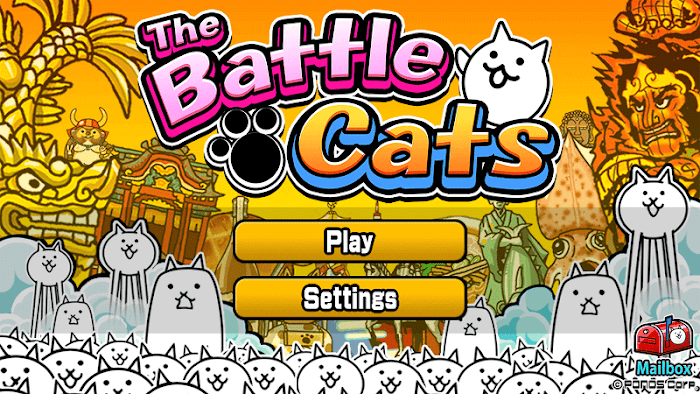 The Battle Cats is a strategy game, released by PONOS Corporation. Do not know what is in this game? We will discover it right below. Earth is experiencing economic problems, causing a great crisis, making people tired, and seemingly not wanting to do anything anymore. Along with that, strange creatures attacked the human world. They want to take away all the energy from power plants and nuclear plants to supply their destructive power. If the destructive machine is successfully built, the animal rule regime will be established; people will become their slaves. And now, only cats can prevent these evil plans aim to attack. Please accompany the cat warriors okay! The Battle Cats is a strategy game but has similar gameplay to Tower Defense games. In each game, you will have to use the army of cats to protect your base, while destroying the base of the kind of enemy strange animals. The control mechanism in this game is quite simple; you just need to touch the cat icons at the bottom of the screen. The cats you choose will be exported from the base, and head towards the enemy to attack them. In the beginning, you only have very few types of battle cats. But over time, when you complete the quests and have a higher level, you’ll unlock more powerful cats. Each cat has different fighting abilities, and you can upgrade them, so they have more power. This is necessary because when the battle areas are expanded, you will have to face strong enemies, and have a more significant force. Therefore, if your potential is weaker than them, it seems that you cannot win. However, you should also note that upgrading items and unlocking new cat characters will cost you gold. So, try to do the task, and win to win lots of gold! The Battle Cats are considered to be quite simple graphics games. Although not as prominent as 3D games, it shows its bright, cute style. The animals are simply designed, with only a few strokes but with incredible attraction, making the players fascinated. Finally, regarding sound, The Battle Cats provides players with exciting background music, funny humor, stimulating excitement for players. 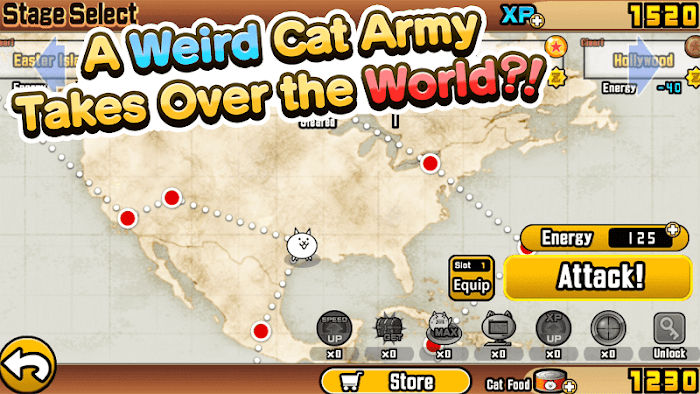 Usually, with a strategy game, you have to reason logically to find plans to attack the enemy, but in The Battle Cats, everything seems much more straightforward. You just need to click to increase the reinforcements to the battlefield, everything is automatic, and you don’t need to spend much effort thinking. 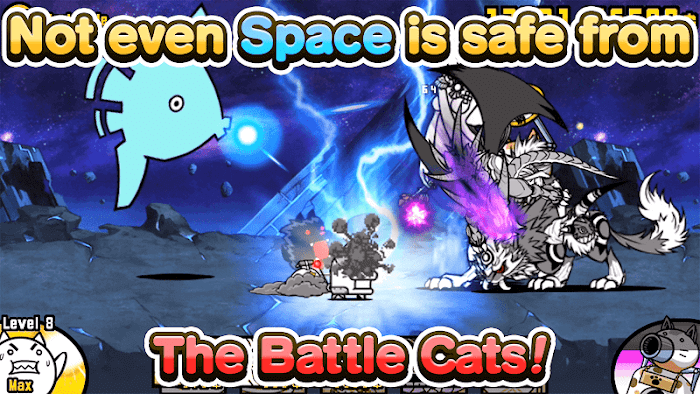 In short, if you are looking for an entertaining game, to help you get rid of the fatigue of a working day, or remove the usual boring space, The Battle Cats is a great choice.